Kevelaer is a municipality in the district of Kleve, in North Rhine-Westphalia in Germany. 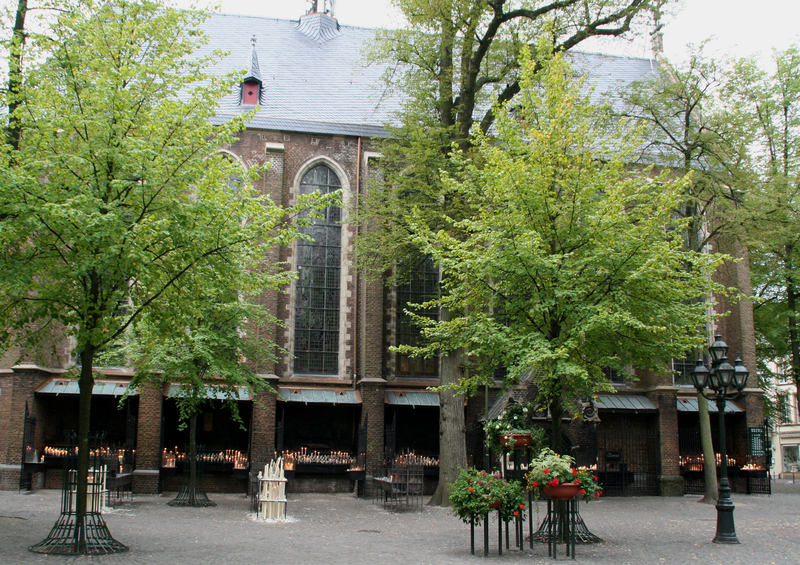 It is the best visited Catholic pilgrimage location within north-western Europe. More than 800,000 pilgrims, mostly from Germany and the Netherlands, visit Kevelaer every year to honour the Virgin Mary. This was one of the first stops for the Europe Parent Trip II Part One (could I make it any more confusing). Hundreds of lit candles of all sizes were in front of this chapel of the candles (kerzenkapelle). BEAUTIFUL! Plus a small shrine is built close by for the faithful to come and pray for healing. My parents and I are still hitting the streets! My aunt and uncle arrive tomorrow, but I am back and posting now all of the gory details. Don’t forget to come back to check ’em out. Germany, Poland, Mallorca, Barcelona all coming to a blog near you. Hola and welcome to GOING NINETY MILES. Enjoy learning about amazing places to visit, good restaurants, seeing cool photos and more awesomeness.